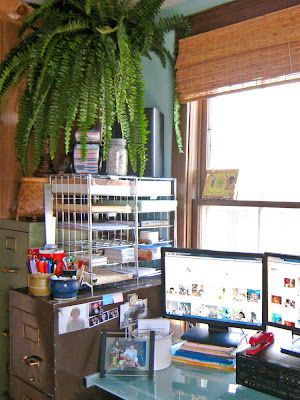 Following up to my earlier post, here are a few snapshots of my “new” office. 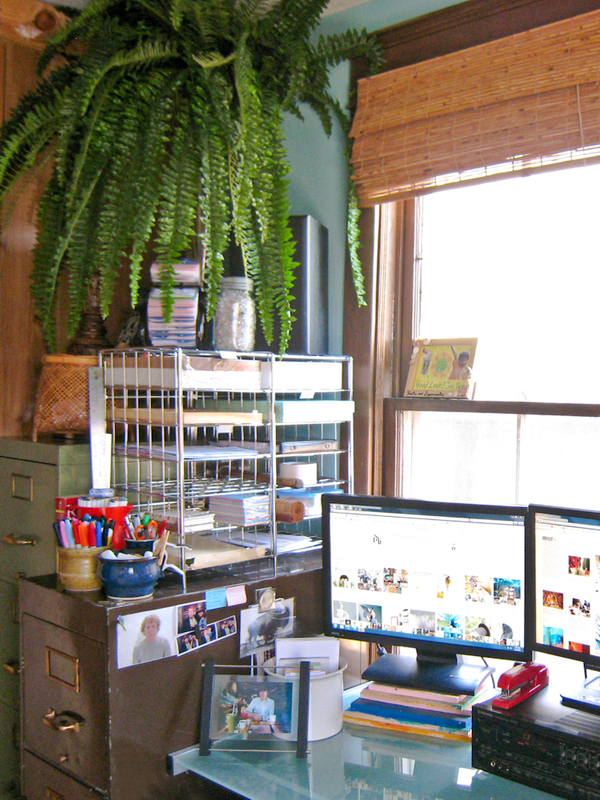 A view of my desk. 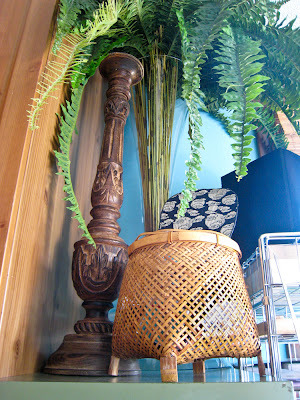 That fern adds a lot of height! 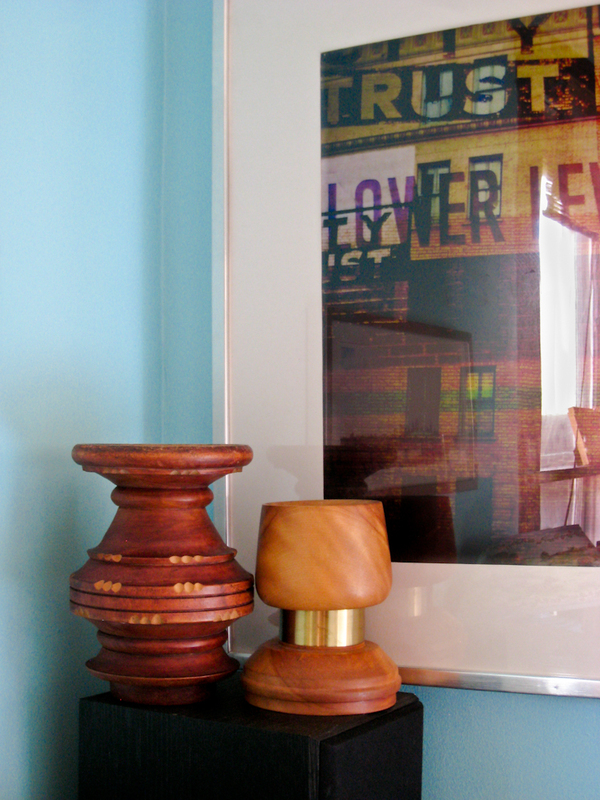 Two more wooden candleholders and two prints. 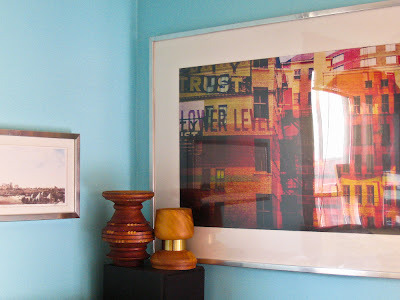 and on the right is a print by my sister Erin Ignacio (aka John James), a graphic designer. 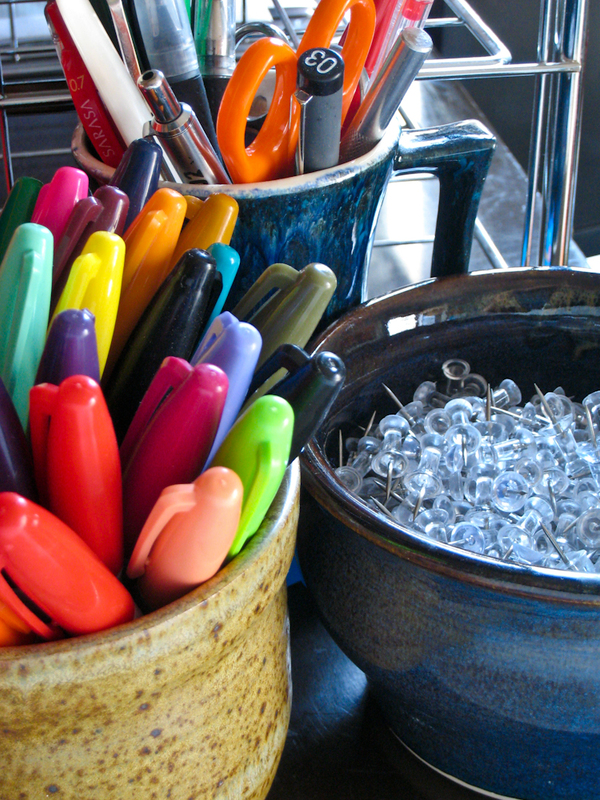 Pens, markers and thumbtacks neatly contained in pottery vessels. I love the textures and shapes of hand-thrown pottery.